General Richard Montgomery led American troops in the capture of Montreal on November 13, 1775. The American presence in Canada proved short-lived. 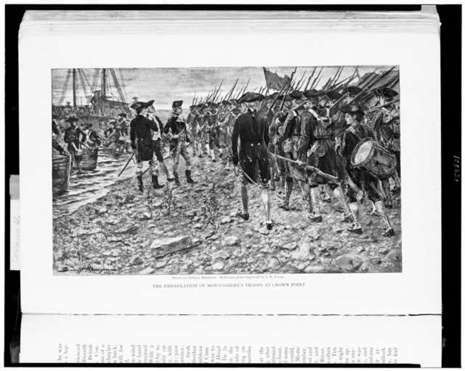 Just weeks later, British victory at Quebec forced a hasty retreat to New York. 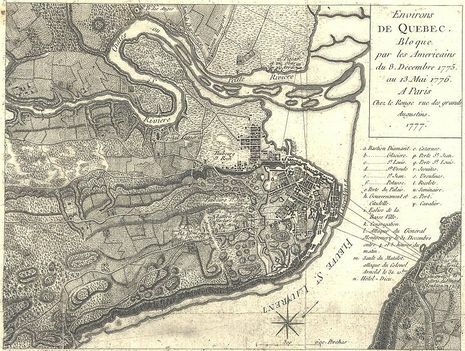 Quebec's governor, General Guy Carleton, had been preparing the defense of the province against possible invasion since May 1775, following the capture of Fort Ticonderoga by Arnold and Ethan Allen, and Arnold's raid on Fort St. Jean on May 18. While Carleton concentrated the defense at Fort St. Jean, small British garrisons were located at Montreal and Quebec.